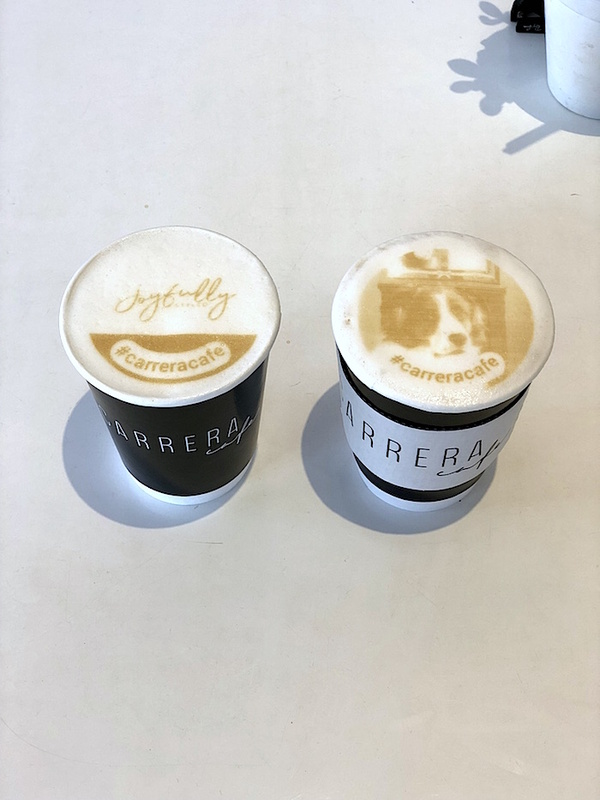 On June 15, 2018, my wife and I decided to visit the popular Carrera Cafe coffee shop in Los Angeles, CA. The first thing we did was actually outside of the cafe. 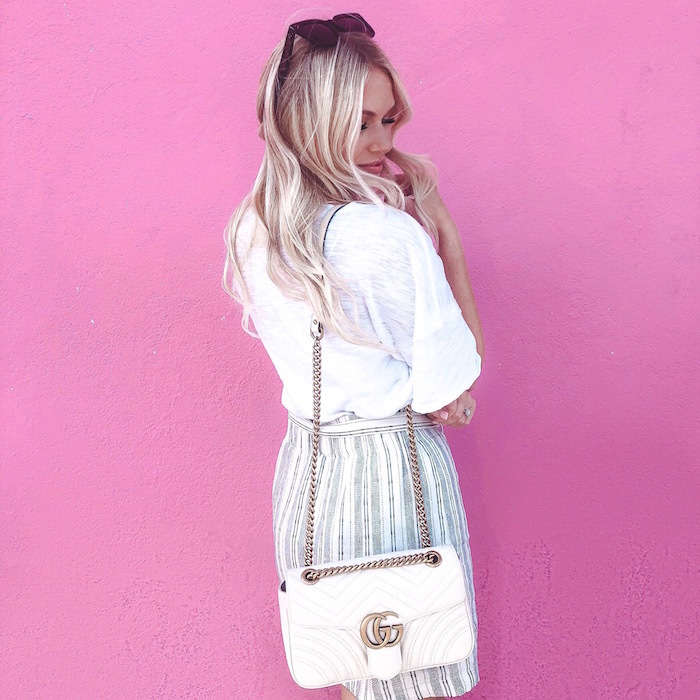 There’s a bright pink building (Paul Smith) across the street that’s a hot spot for taking Instagram-worthy pictures. So, my wife (who’s a fashion blogger at Joyfully Styled) wanted to take some pictures in front of it. We then entered the cafe and it was a young crowd (20 – 30 years old). There was loud, modern music playing and it had a great vibe. Before I go any further, let me explain what attracted us to this specific location. Carrera Cafe is well-known for their amazing latte art. The Cafe makes the process pretty simple. You can either download their app and send your picture that way. Or, you can scan a code through Facebook Messenger and send the picture via messenger. I recommend having your picture ready ahead of time because I was stumbled around trying to find my picture at checkout. Also, make sure you choose a picture that only has the object you want in the coffee. That’s because they use a machine to create the latte art and that means all objects in the picture will be included. So, when it came time to order, I attempted to order a traditional hot coffee, but they ran out of regular coffee. This is understandable because it was around 5:30 PM. I ordered an Americano instead and my wife order a caramel latte with whole milk. It took about 15 minutes to get our coffees, but it was well worth the wait. My wife requested her blog logo and I requested a picture of one of our dogs (originally tried to do both dogs, but was having issues sending the picture… sorry Maggie!). The presentation was amazing. Now let me start by saying that I’m not a big fan of Americanos because they are usually watered down and weak (compared to drip coffee). However, I was pleasantly surprised by how strong, smooth, and flavorful their Americano was. The milk they used for the latte art was more than enough and I didn’t need any additional cream. I added two raw sugars and enjoyed my delicious drink. My wife loved her caramel latte. 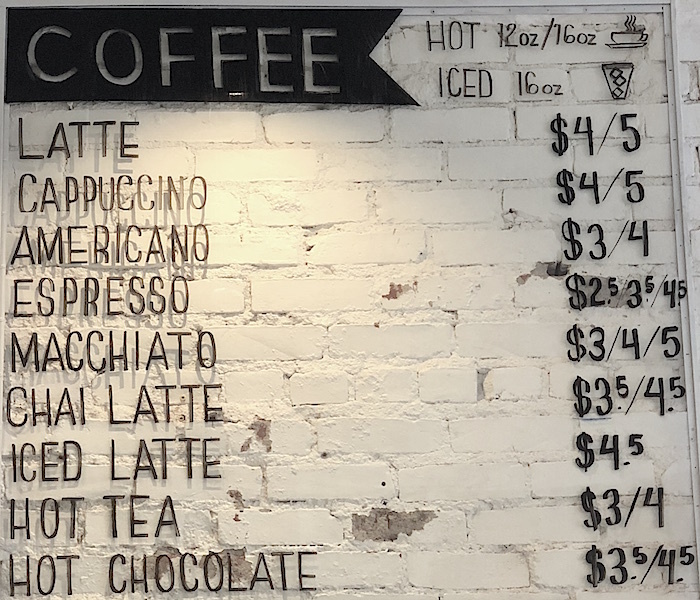 She described it as, “Sweet, but not overly sugary.” I’m not a fan of sugary coffee drinks, but I had to agree – her coffee was a perfect balance of sweetness and acidity. Her latte also had a delightful caramel aroma. The only critiques we both had about our drinks were the aftertaste, which we felt was below average. In no way, should this deter you from trying the coffee at Carrera Cafe. Carrera Cafe had a great young vibe with delicious, beautifully designed coffee. Carrera Cafe gets 5/5 stars for the quality of their coffee and the vibe of their cafe. Visit Carrera Cafe at 8251 Melrose Ave, Los Angeles, CA 90046. You can also checkout their website here for more information. Already been to Carrera Cafe or have some questions about it? Tell me about your experience or ask your questions below. Thanks!